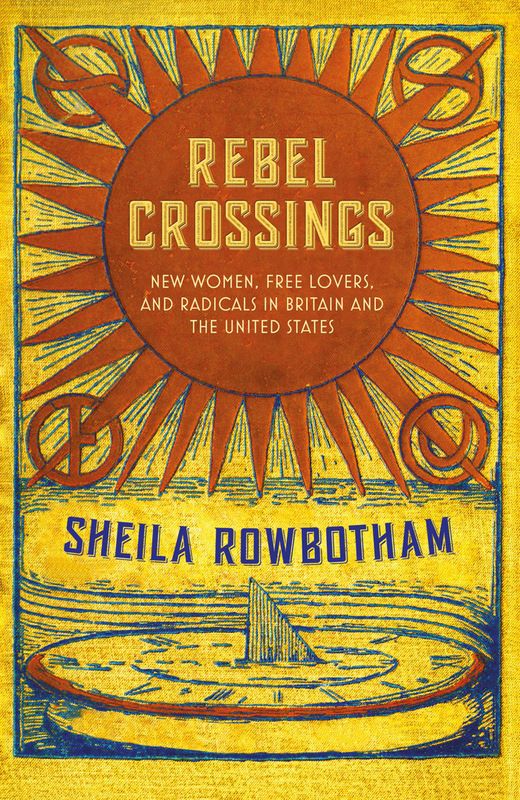 To celebrate 100 years since the 'Representation of the People Act 1918', which granted some women and more men the right vote, Verso bring you an extract from Sheila Rowbotham's Rebel Crossings. 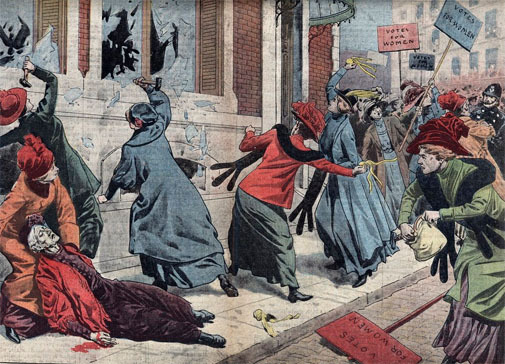 The book tells the story of some of the radical's involved in the fight for women's suffrage. Reminding us that many of the same alliances and struggles continue today but gains and wins are possible and the process can foster beautiful and empowering connections. The creation of the B.W.L.A. [Bristol Women’s Liberal Association] in 1881 initiated a national movement as Liberal Party women in other parts of the country started establishing branches, creating a national rival to the Conservatives’ ‘Primrose League’. The official aim of the Bristol Association was ‘to promote Liberal principles and to diffuse knowledge on political questions of general and local interest among the women of Bristol’. However, the politic phrasing belied an exasperated impatience over women’s suffrage among doughty campaigners like the B.W.L.A President, Anna Maria Priestman, who voiced their steely refusal to ‘work for any Parliamentary candidate who was not in favour of equal laws for men and women’. Through the B.W.L.A Helena [Born] landed in the midst of an extraordinary network of exemplars linked to wide-ranging radical and feminist campaigns, nationally and internationally. Anna Maria Priestman saw women’s suffrage as part of a broad extension of democratic citizenship. She was prepared to support radical workers’ causes and advocated women’s trade unionism. In 1870 Anna Maria and her sister Mary had refused to pay their taxes as a protest against women’s exclusion from the franchise. Mary Priestman, the B.W.L.A Treasurer, took part in the campaign against the Contagious Diseases Acts. Another sister, Margaret (Mrs Arthur Tanner), also opposed the Contagious Diseases Acts and was a Vice-President of the B.W.L.A. All three women had participated in the anti-slavery movement and had signed the first women’s suffrage petition in 1866. Yet another Quaker, Emily Sturge, co-founder with Anna Maria Priestman of the B.W.L.A., was also honorary secretary of the Bristol and West of England Society for Women’s Suffrage. Especially interested in education, she was elected to Bristol’s School Board in 1880 and became the first woman on the Council of Redland High School for Girls’ in 1883. In 1885 Emily was just one of seven Sturge women in the Association, closely followed by five Tanners. Bristol’s radical families swelled the rolls of the B.W.L.A. Participation in multifarious causes linked these B.W.L.A. members to national and international social movements. The Unitarian, Mary Estlin, was not on the committee when Helena became a member, but was one of the larger donors paying a subscription of 5s. She had led the renowned Bristol and Clifton Ladies’ Anti-Slavery Society in the 1850s, later supporting women’s suffrage and opposing the Contagious Diseases Acts. Moreover, she had been friendly with the militant antislavery leader, William Lloyd Garrison, until his death in 1879, and was in contact with the radical wing of the American women’s rights movement, which included Stanton. These interconnections still operated when Helena joined the B.W.L.A. In 1885 they invited the freethinking American friend of Stanton’s, Moncure Conway, to speak on ‘Women and Evolution’. In December 1886 a ‘Miss Barne’ appears in the Bristol Mercury and Daily Post supporting a Bill for the extension of the franchise to women, along with the Misses Priestman, the Sturges, Helen Priestman Bright Clark and Bristol’s pioneering woman doctor, Eliza Dunbar. Helena’s involvement occurred during a disheartening period; the Liberal Party was ignoring women’s suffrage and the movement was divided. While one wing deplored any break with conventions and believed in seeking votes only for unmarried women and widows in an effort to placate husbands, the Bright-Priestman group opposed such cautious pragmatism and saw women’s rights as rooted in radical individualism. In 1887 they were studying a pamphlet, For Liberty by the Individualist Auberon Herbert, who opposed state compulsion of any kind, whether for taxation or vaccination. The former MP and eccentric aristocrat was living with his family in a cluster of cottages in the New Forest, and Helena had a personal connection to this elegant, individualistic bohemia because Beatrice Taylor went to work there as a governess to Herbert’s daughter ‘Nan’. Yet Helena was painfully aware of the consequences for women like herself of breaking with convention. In January 1887, in notes for a talk entitled ‘Pro Bono Publico’, she reflected that ‘for women (with few exceptions) public service does not lead to glory and emolument, but is attended with odium and ostracism’. Even so, she was being shaped by a political milieu which asserted not simply the individual’s duty to defy unjust laws and oppressive customs, but women’s personal responsibility to witness. Both Quakerism and the campaign against the Contagious Diseases Acts fostered these connections. ‘The Personal Element in English Politics’, discussed at a B.W.L.A. meeting in 1887, was a topic particularly close to the Quaker women’s hearts. The Bristol middle-class women’s assertion of individual rights and personal service combined with a social altruism that sought to gain working-class support for women’s suffrage, encourage women’s trade unions and improve conditions at work. Helena was attracted to this ideal of service and clearly admired B.W.L.A member, Maria Colby, who, after knocking on door after door in working-class St Philip’s and St Jacob’s, became so weary of objections to women’s suffrage, ‘based on the idea that the primary duty of women is to darn stockings’, that she submitted her own ironic request for a holey-socked husband to the local paper. An amused Helena preserved it in her scrapbook in 1886. Who’ll bring me daily some stockings to darn. In December 1887, Emily Sturge, who, like Anna Maria Priestman, supported trade unions for women workers, stressed the significance of the cross-class connection. In her talk, ‘Am I My Sister’s Keeper?’, she argued that B.W.L.A. members should help to form unions and cooperatives among working-class women and use their buying power as middle-class women to improve working conditions. Upon coming across a long, detailed article on women’s labour in a Bristol paper-bag factory, Helena carefully placed it in her scrapbook. It was by an American woman journalist, ‘J.M.B.’, and covered not just the work itself, but the women’s survival tactics. J.M.B saw how the workers broke up the ‘dull routine’ by joking, and supported one another in misfortune – saving fragments of cake for a workmate’s sick child. The y, she said; they came down ‘like a meat fly’ on anyone who gave offence. Helena must have been intrigued by this insight into an unfamiliar world for she pasted in page after page of graphic reportage. Dear Sisters, – We have heard of your intended gathering with deep interest. We are not able to send one of our number to represent us; but we write to tell you that your zealous labours in America strengthen and encourage our work here, to bid you God-speed, and to assure you that we are one with you in the conviction that women must stand by women – the most educated by the most ignorant – the most sheltered by the most unprotected – until every barrier raised by law and custom in the way of women’s full development and freedom shall be broken down. Signed, ‘In the Fellowship of Womanhood’, it included Helena’s name nestling second after Anna Maria Priestman’s. Other signatories included Margaret Tanner, Helen Priestman Bright Clark, Emily Sturge, Mary A. Estlin, along with John Stuart Mill’s sister, Mary Colman, suffrage campaigner Maria Colby, and Louisa Swann, a Quaker activist. The letter was read out to the forty-nine radical delegates who, after vigorous singing of ‘Equal Rights for Ever’ to the tune of ‘John Brown’s Body’, set to work on their programme which embraced not only suffrage but prison reform, social purity, trade unions and co-operatives. Helena’s chance to speak for the Bristol Women’s Liberal Association came in May 1888 on the somewhat prosaic topic of ‘The Budget’. B.W.L.A. members, having become increasingly involved in municipal politics, were confronted with a Conservative Bill for local government reform and joined the working-class Liberal Operatives Association to talk through its funding implications. Both radical groupings faced a dilemma of how to square their distrust of the state with much needed local social provision.